The Starcraft 2 train keeps on chugging and that means Afreeca World is back! 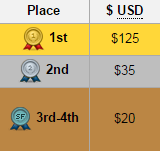 Thanks to AfreecaTVs & your support I'm happy to announce the twenty fourth AfreecaTV World Invitational! This lineup should be a good one! 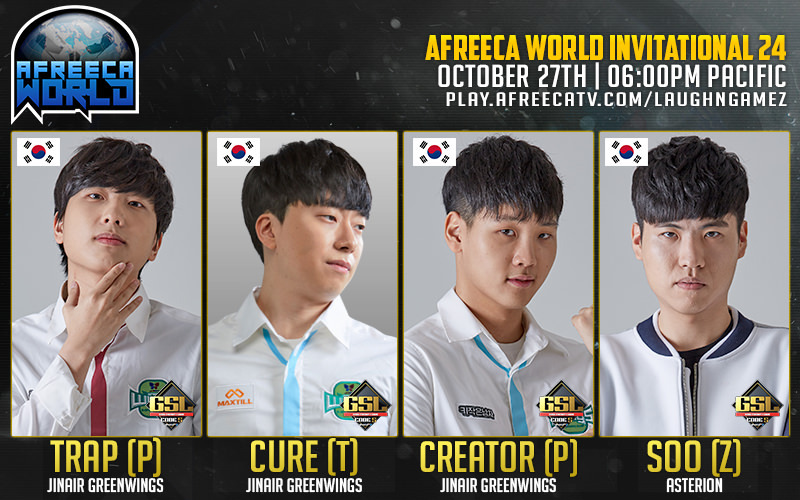 The first invite and new Afreeca World champion is Jin Air Cure the Korean Terran that managed to slay long reigning Solar 3-0. That being said Cure's opponent is certainly going to be familiar with him, Jin Air Trap the Korean Protoss making his debut at last! Cure had a great run in Afreeca World 23 but we'll see how he fairs against his teammate. The next invited player is having another crack at the tournament Jin Air Creator the Korean Protoss. Last player is going to have to punch an airplane to win Asterion soO the Korean Zerg. It's exciting to have some awesome Starcraft in Korea! We'll be live shortly after the Global Finals on Saturday! The player lineup should produce some great matches. GG in an upset Creator takes it! 3-2 soO & 4-1 Cure!